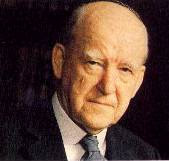 In the spring of 1969 Dr. Martyn Lloyd-Jones delivered a series of lectures to ministerial students at Westminster Seminary in Philadelphia. His topic was “Preaching and Preachers.” The lectures were published in book form in the UK in 1971. Zondervan published the book in 1972 in the US. In these lectures Lloyd-Jones gives his viewpoint of the preaching ministry and counsels younger preachers from his 42 years experience in the ministry. Preaching and Preachers is not a “how-to” book on preaching; it is more a theology of preaching. Over the next few days I plan to have a short series of posts on Lloyd-Jones’ counsel to preachers on their general reading habits. The posts are based on the chapter, “The Preparation of the Preacher.” These are things the preacher should always be doing to help himself prepare for the pulpit. Lloyd-Jones is promoting a lifestyle, not just a method for preparing an individual sermon. These are very practical things that Dr. Lloyd-Jones is counseling. The first counsel Lloyd-Jones gives in this regard concerns the preacher’s reading of the Scriptures. He gives a two-fold warning: avoid random reading of the Bible and avoid reading the Bible merely to find texts for sermons. “My main advice here is: Read your Bible systematically. The danger is to read at random, and that means that one tends to be reading only one’s favourite passages. In other words one fails to read the whole Bible” (Preaching and Preachers, p. 171). “The Doctor” counsels every preacher to read the entire Bible at least once a year. “That should be the very minimum of the preacher’s Bible reading” (Ibid, p. 172). Lloyd-Jones worked out a Bible reading schedule for his church in South Wales and used this schedule until he found the one by Robert Murray M’Cheyne in the Memoir and Remains of Robert Murray M’Cheyne by Andrew Bonar. He highly recommended this one because it takes the reader through the Old Testament once every year and twice through the New Testament and Psalms. In addition to this he recommends the preacher to study some portion of Scripture in a detailed way with his commentaries and other study helps. But what is the preacher’s main purpose for looking into the Word of God? Is it to prepare his next sermon? Lloyd-Jones describes this as “one of the most fatal habits a preacher can ever fall into…Do not read the Bible to find texts for sermons, read it because it is the food that God has provided for your soul, because it is the Word of God, because it is the means whereby you can get to know God. Read it because it is the bread of life, the manna provided for you soul’s nourishment and well-being” (Ibid, p. 172). In this the preacher is to be an example to his flock. All believers should read the Bible this way, and the preacher can’t properly feed his flock until he has fed himself. Lloyd-Jones says that if a preacher reads the Bible this way, the sermons will come. “He will suddenly find as he is reading that a particular statement stands out…” (Ibid, p. 173). More on that next time. Until then, may we discipline ourselves not to put the cart in front of the horse in our reading of Holy Scripture.